BUPA Spain, also known as Sanitas, is a leading Spanish medical health travel insurance provider with approximately 1.9 million policyholders. BUPA Spain, also known as Sanitas, is a leading Spanish health insurance provider with approximately 1.9 million policyholders. Founded in 1945 Sanitas joined the BUPA Group of companies in 1989. In 1999 Sanitas Insurance moved to expand the company’s international presence by signing an unprecedented agreement with United Healthcare, one of the USA’s largest health insurance companies. Through this agreement Sanitas Insurance policyholders are able to access treatment options at some of the USA’s most prestigious medical centers. The agreement also allows policyholders to receive secondary medical opinions with medical practitioners in America in addition to providing dedicated Spanish language support facilities to Sanitas insurance policyholders overseas. Sanitas Insurance is the arm of BUPA Spain responsible for providing Spanish health insurance services to expatriates and Spanish nationals within the country. It can also offer International travel medical insurance. As the company is a part of the British United Provident Association, Sanitas also works to ensure the overall wellbeing of its policyholders through services offered by the extended Sanitas Group of companies. 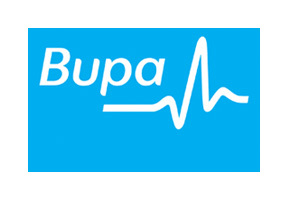 BUPA Spain Assistance abroad: 0034 91 345 65 84 (collect). For more information about BUPA Spain, Sanitas, international travel medical insurance, or the international health insurance options from Pacific Prime, please contact one of our dedicated advisors today.